Shawn Carter better known by his stage name Jay Z is a very successful American rapper, record producer and businessman. Jay Z was raised in the Marcy Housing Projects in Brooklyn, NY. He is a high school dropout and self admitted former crack cocaine dealer and is proud of this fact. He recently sparked controversy saying "selling crack helped him become a better businessman". Yet despite his meager beginnings he has amassed an estimated net worth of 500 million according to Forbes Magazine, via his recordings, productions and various business ventures. It appears though as with many others, Jay Z has become a major puppet for the Illuminati elite and their agenda.Examining the lyrical content of Jay Z's music you will find the normal misogyny and references to drug use that are common in modern rap music. 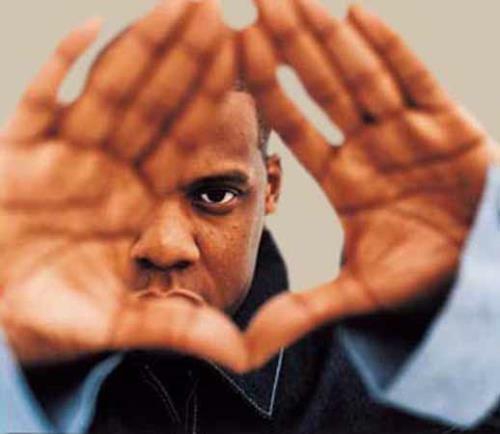 Jay Z however displays a pointed dark/demonic, Anti-Christian message in many of his songs and accompanying videos. In his song Empire State of Mind Jay Z Raps: "Jesus can't save you life starts when the church ends". He has a song entitled plainly "Lucifer" and in the song "D'Evils" from his debut CD he raps about how he sold his soul to the Devil for monetary gain. 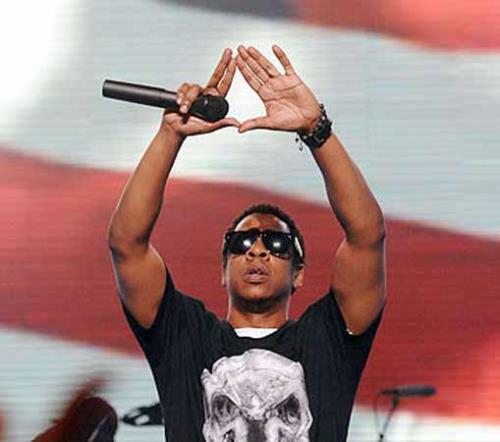 Jay Z also seems to be very interested and versed in the Occult and Freemasonry. 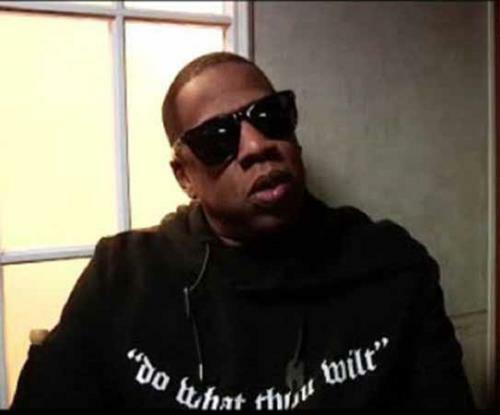 In the above photo Jay Z is wearing a t-shirt with the credo of master Occultist Aleister Crowley that reads "Do What Thou Wilt" from his occult manual Book of the Law. 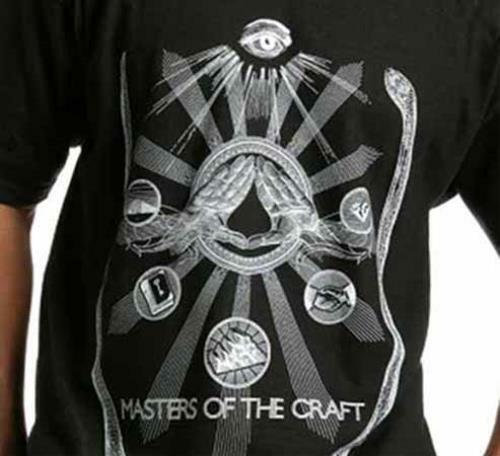 His clothing line Rocawear is filled with items with occult and Freemason imagery. Many of his videos also follow the same dark, demonic themes as the video for "On the the Next One" below. You can write an entire book about the esoteric references in Jay Z's life and career, he is one of the most famous and more so open puppets of the Illuminati agenda. Because of his huge following and media profile his negative effect on society is immeasurable. He's a star employee.